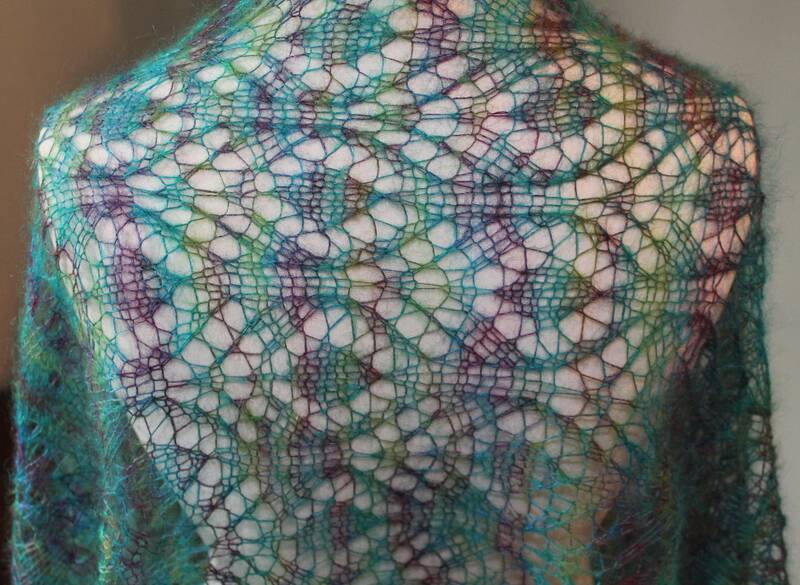 This PDF instant download pattern is for a lace knitted peacock wrap. It is one of my favourite designs and the inspiration was the hours I spent with my small children at Warwick Castle trailing the peacocks in the grounds in the hope that one would donate a feather. We found two in the end and I have them still in my design studio. This pattern is for a wrap with the finished dimensions of c. 70cm x 200 cm. 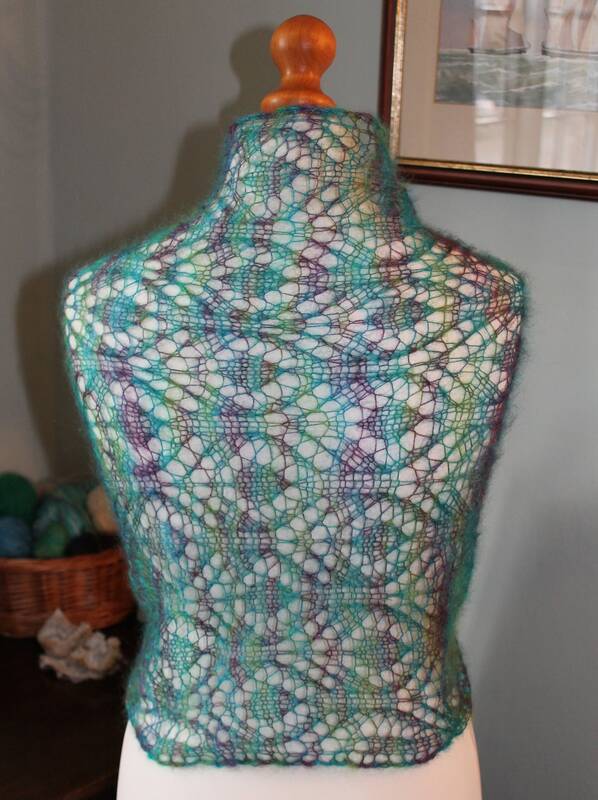 As with all lace knitting patterns it is adaptable allowing the knitter to alter both the width and the length. 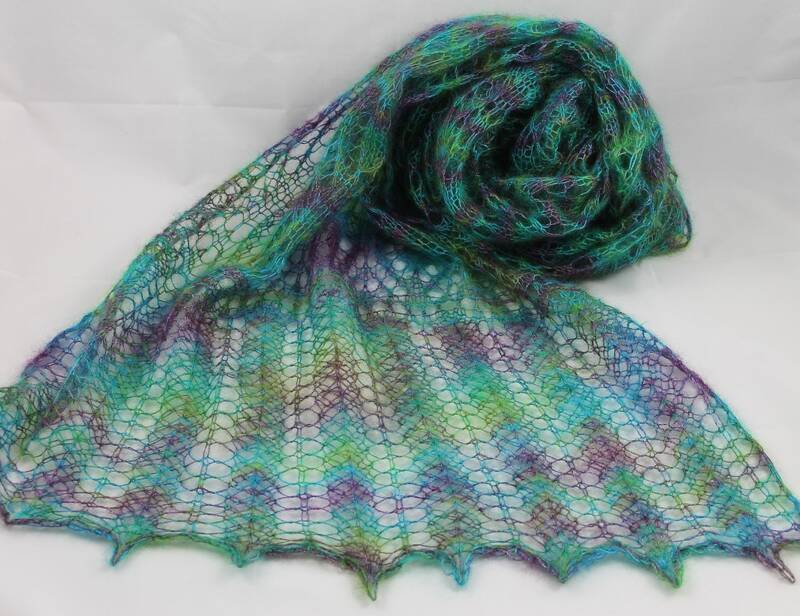 For the wrap size above it requires c. 800m of lace weight yarn. 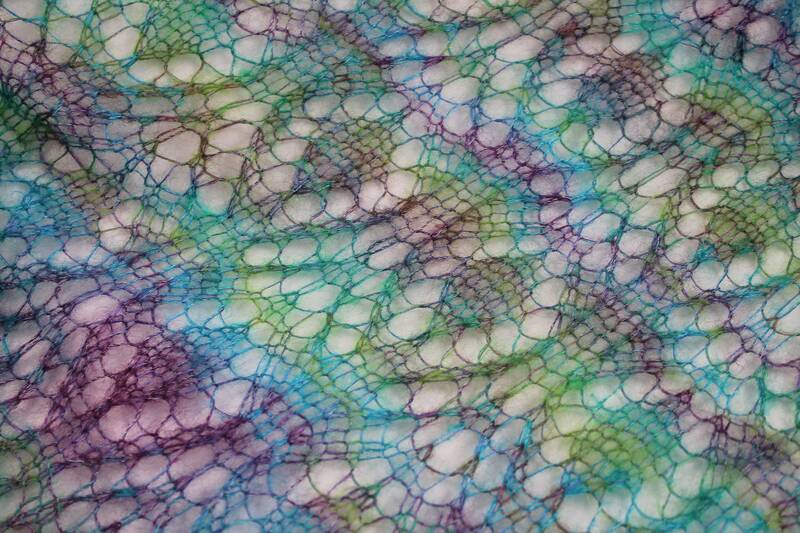 The yarn in the photo is my hand painted kid mohair and silk together with a strand of my hand painted pure silk. A pair of 4mm straight knitting needles. Please note the gauge is free on this pattern.